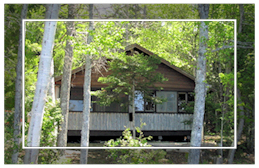 We currently rent the cabins from May through October, Saturday - Saturday. Check out our rates page for further rental information. We have owned the property since 1999. The Jones cabin was for rental as well as for use by our family. We then built the Smith Cabin in 2005 for our primary summer residence. However, since purchasing the Bellmard Inn, we also rent the Smith Cabin. 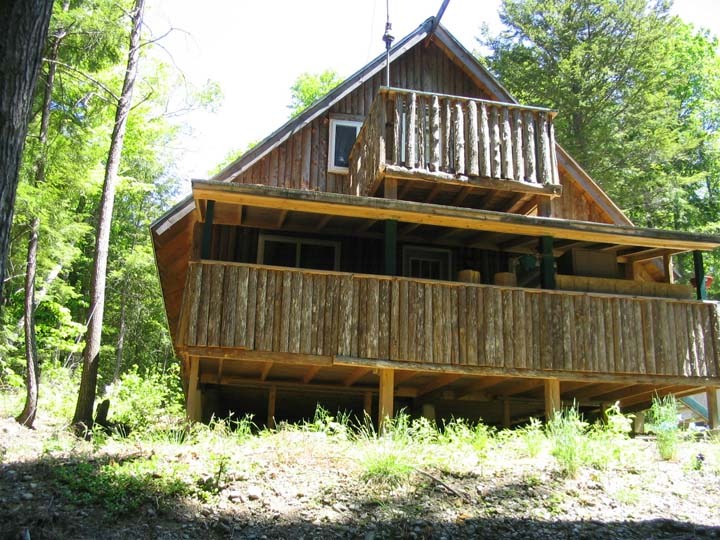 The cabins are located in the small Town of Princeton Maine which has a population of 948. It offers a post office, town office, fire station, health clinic, small library, two gas stations, a bank, a hardware store, grocery store and restaurant. The cabins are a 3 mile drive from downtown Princeton; off a paved road then 1 mile on good gravel road. They are located in a private wooded cove on the edge of Long Lake. Pristine, Long Lake is part of the St. Croix watershed which accesses Lewey Lake and Big Lake. Our lakes offer canoeing, kayaking, boating, wild-life watching and some of the best bass fishing on the east coast as well as historic fishing for locked salmon. Also there is an airport. Private planes can land at the Princeton airport, which is only 4 miles from the cabins. The airport has two 4,000 foot runways. Runway 1533 has runway lights activated by 5 clicks on 122.8. VSAI on 15. VORT AC 9.2 NM north of field. Tie-downs are available. Bangor International Airport is about a two-hour drive from Princeton. The Canadian Border at Calais is only 22 miles but you do need a passport to cross over. Content and images @2013 Long Lake Works. Website Design: Chudgeruelifanatica Ind.